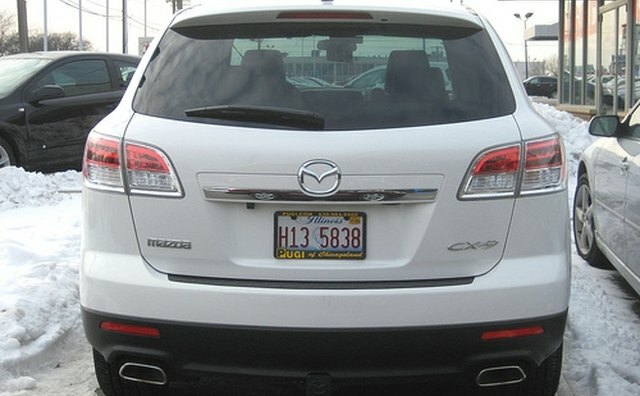 The 2009 mid-size Mazda CX-7 and the 2009 full-size Mazda CX-9 are crossover sport utility vehicles that allow families to choose a specific vehicle to fit their needs. 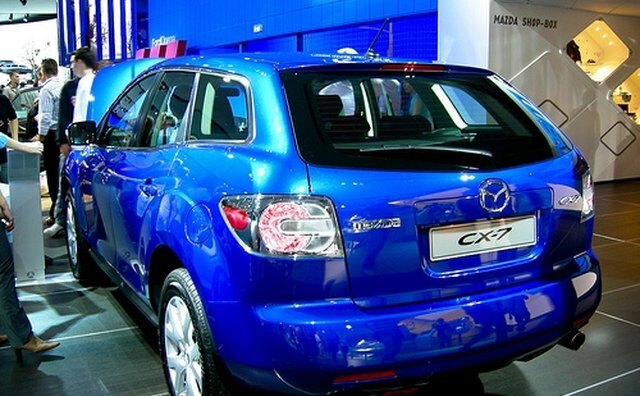 Mazda has been a forerunner in developing SUVs that are slowly replacing the minivan as the primary family vehicle with an emphasis on comfort on long trips. Gas mileage of these two vehicles is fair. The CX-7 is equipped with a 244-horsepower a 2.3-liter turbocharged inline-4 engine that generates 258 lb.-pounds of torque. 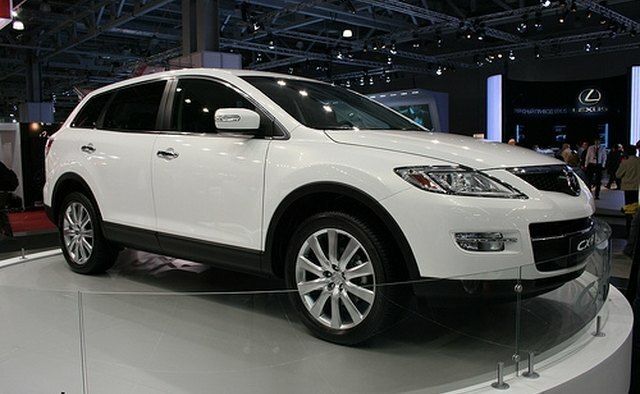 It shares the same platform as the Ford Edge and is placed on a 108.3-inch wheelbase. It measures 184.1 inches long. For a mid-size vehicle, its curb weight is a hefty 3,929 lbs., according to automotive.com. A 273-hp 3.7-liter V-6 with 270 lb.-feet of torque powers the CX-9. It's 199.8 inches long and sits on a 113.2-inch wheelbase. The CX-9's curb weight is rated at 4,550 lbs., which is a not a bad weight increase over the mid-size CX-7, according to automotive.com. The turbocharged inline-4 gives the CX-7 above average power, but its torque doesn't provide it with the quick acceleration found in the V-6 versions of competitors' vehicles. It can achieve 0-60 mph in 7.7 seconds. It excels, however, in highway driving where it can easily pass traffic. The EPA-rated is a modest 17 mpg in city driving and 23 mpg on the highway, according to Edmunds.com. 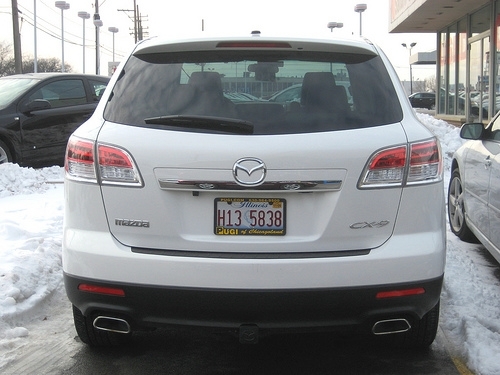 Remarkably, the CX-9's V-6 performs similarly to the CX-7's inline-4. Its 0-60 mph performance is 7.4 seconds. It serves the driver best in long distance driving, but it's a bit choppy on uneven roads, according to edmunds.com. The two-wheel-drive models earn 16 mpg in the city and 22 on the highway, with the all-wheel-drive versions getting about 1 mpg less. The CX-7 is equipped with the base Sport, the mid-range Touring model and the top-end Grand Touring. The turbocharged inline-4 engine is standard equipment on all three trims. The Sport features standard air conditioning, an AM/FM/CD audio system, cruise control, and power windows and mirrors. 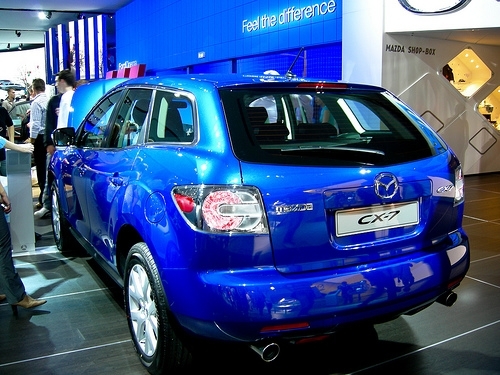 The Touring model is equipped with leather-trimmed seats, with the front seats heated. The Grand Touring features leather upholstery, heated exterior mirrors and automatic climate control. A Bose audio system and moonroof come as extras for the three models, according to edmunds.com. The CX-9 is offered in the same trim levels as the CX-7. The Sport features 18-inch alloy wheels, full-power accessories, air-conditioning, a tilt/telescoping steering wheel with mounted cruise and audio controls, Bluetooth phone capability and a trip computer. The Touring version gets two-tone leather seating with the front seats heated. The Grand Touring is equipped with 20-inch wheels, rain-sensing wipers, xenon headlights, keyless ignition/entry, woodgrain accents and an auto-dimming rearview mirror, according to edmunds.com. The CX-7 is adequately powered by the turbocharged inline-4, but buyers could have been better served with a V-6 option. The CX-7's base price is $23,900. The CX-9 is sporty and roomy, but the 20-inch wheels take away some of the smoothness in the ride. The larger CX-9 starts a $29,820. Both provide the quality for the money spent, according to edmunds.com. All prices are as of 2009. Which Automobiles Have Bench Seats?